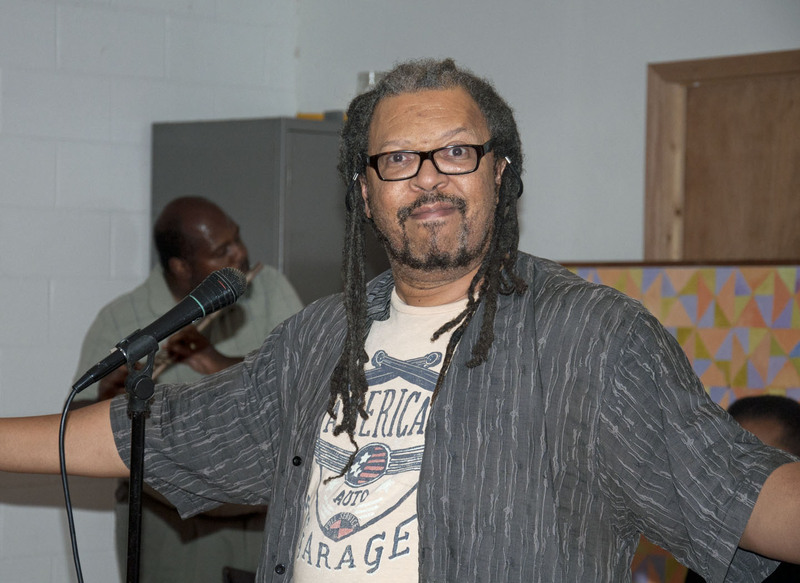 Speaking from the heart and from life, Cleveland’s The Writers Block stood up and represented during the closing session of The Nia Coffeehouse’s 15th year. 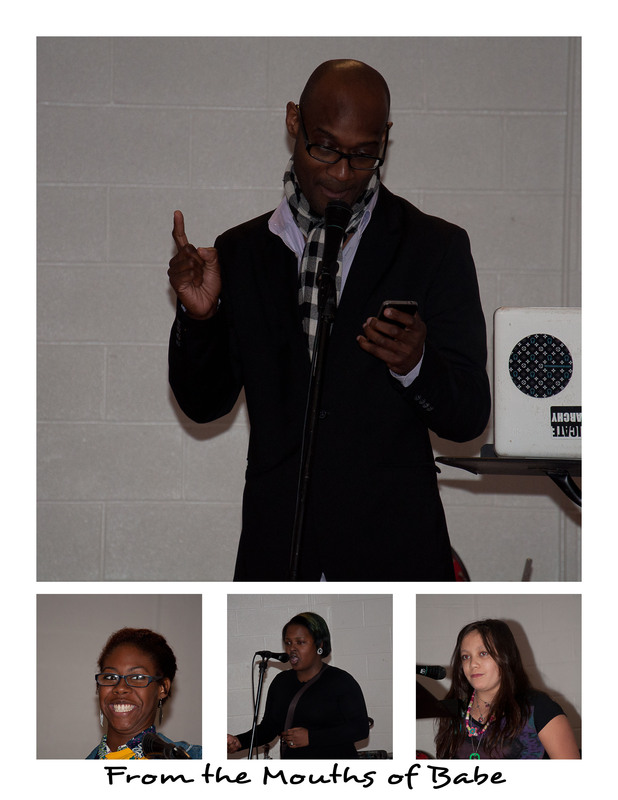 The Coffeehouse is a gathering of creative souls who come together to share their visions of the world through poetry. 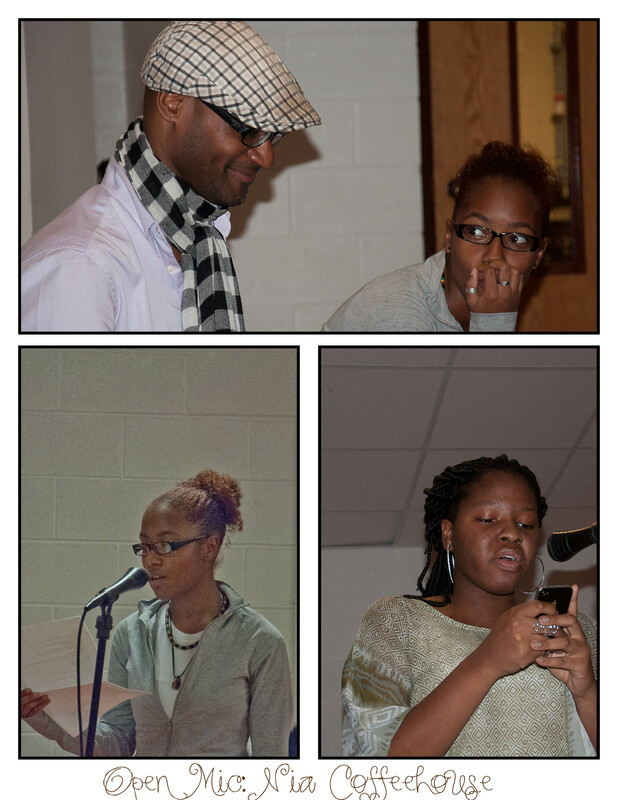 Unfortunately I didn’t capture the names of the students but the top photo features instructor Daniel Gray-Kontar and one of his students as they prepare and the bottom two are of the young ladies during Open Mic at The Nia Coffeehouse. This past Tuesday the group was treated to the words of Cleveland students who are part of The Writers Block and are students at Cleveland’s School of the Arts. Leading the students is accomplished teacher, writer, poet and musician Daniel Gray-Kontar. Words can’t capture the warmth that filled my heart as I listened to this group of mostly young ladies paint a picture of the world they live in through words. That world is not always a pretty place. Those were some of the common themes. The messages that caused my heart to crumble. I was filled with pride, but I was also filled with shame. The world in which they have to navigate is not a pretty or friendly place. As adults we must question what we are doing and leaving to them and most importantly WE MUST DO BETTER! Daniel Gray-Kontar and students from The Writers Block. We need more Daniel Gray-Kontar’s in our communities. This is not a battle these children should have to wage on their own. I applaud Kontar for his commitment to our youth and for showing them a positive way in which to channel their feelings. If you have the opportunity to hear these extremely talented students please do, and let’s all begin to LISTEN to what our children are saying and work HARDER to make the world a better place for future generations. Pictured above are only a few of the students…more photos to come at a later date. 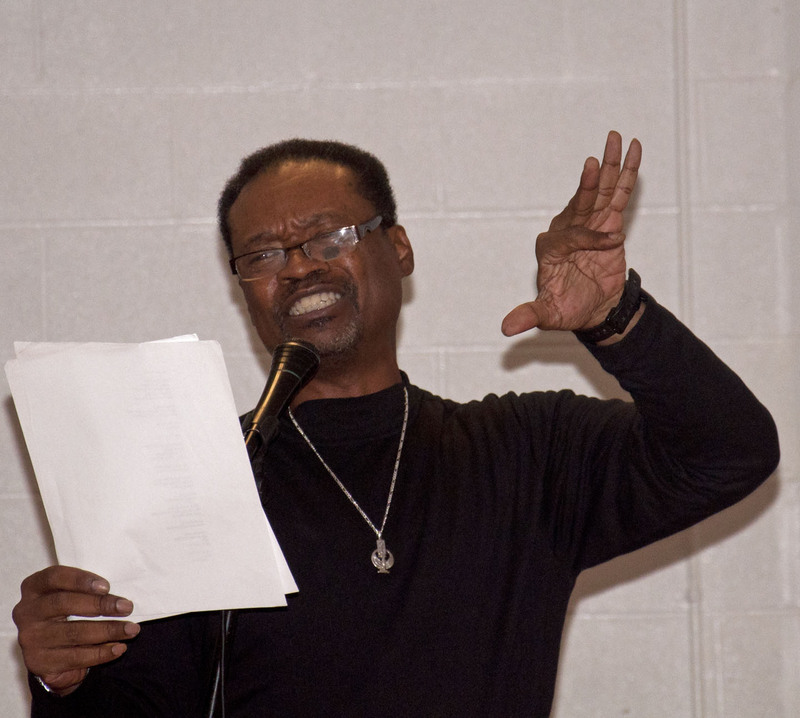 I can’t close without offering gratitude to Vince Robinson and Cavana Faithwalker for leading the charge and giving poets a place to express themselves through The Nia Coffeehouse.